Do you really need a business coach? There are so many small businesses that could use some help improving their credibility. This crucial element can literally make or break a business. Too many small business owners think their credibility is fine where it is. What they fail to realize is that, although their name may be in good standing with a few repeat customers, what they appear to be online is a much different picture. If you are advertising and doing it without knowing the difference between advertising and marketing, you need a coach to help you. Your advertising exposure could hurt you if you’re not prepared. Watch this video below to see if this is your situation. If you are doing business the same way you were ten years or more ago, you may need some help catching up with the times. You don’t have a website or think you don’t need one, you might consider this as an option. If you see no value in the internet at all, you really need the help. This article will enlighten you. There are just too many people that need the help. But it’s their mindset that disqualifies them from ever being able to get the help they need. Being open to new ideas is the first step toward getting better results for your business. To fix a business that’s in trouble, the fix begins at the owner. Small businesses are usually in full control of an owner/ operator. This person has been doing almost everything from the beginning. By now, there is just too much going on to keep the ship afloat. Not much time is left to think about things like marketing, branding or reputation management. Most small businesses only pay for advertising. Those that do often do this blind. Ad companies that cater to small budgets do not have the best interest of the small businesses at heart. Since advertising has no performance guarantee, the only one who gains from this arrangement is the ad company. All of the ad companies are looking for unsuspecting new customers to pay them whatever they can get. Some business owners will still continue to pay for a little exposure. What they are missing is the guidance that will save them thousands of their hard-earned dollars per year. 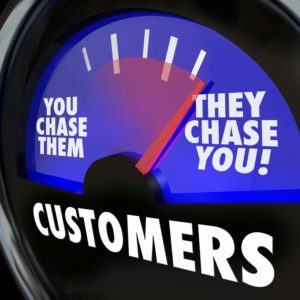 They also miss out on the quality customers that will leave positive reviews for others to see. Sadree is not an ad company. In fact, His focus is more on what people see when they find you. If you aren’t ready for exposure, that monthly payment will cost you business instead of bringing in business. Also, putting your best out there will help protect your reputation from people who troll on the internet. Having a business coach who can help you steer past these troublesome areas is well worth the investment! Ask yourself: How many others you have talked to care this much for your Success?